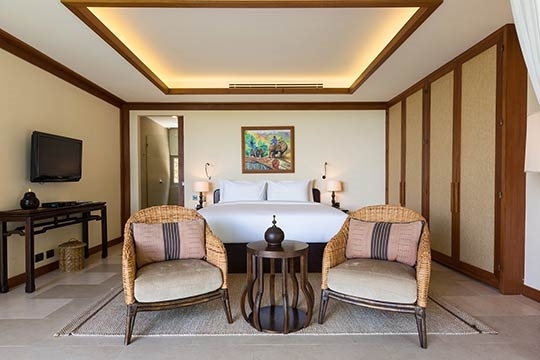 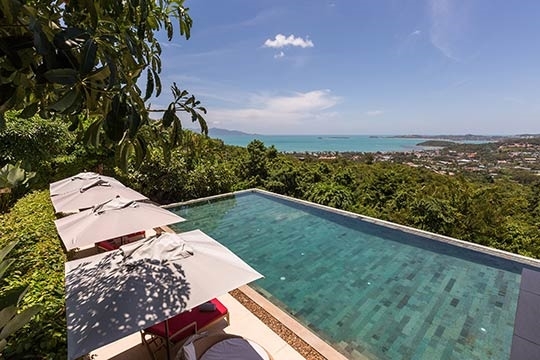 Named after the Greek goddess of healing and meaning ‘a remedy to cure all ills’, Panacea Retreat is an inspired moniker for this delightful retreat in the Bo Phut hills. 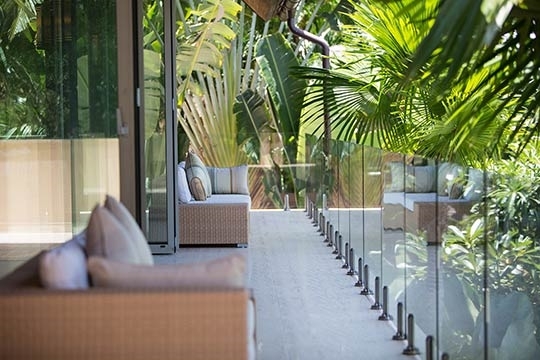 Among the tranquil gardens and harmonious interiors at this haven of holistic living, it’s hard not to unwind. 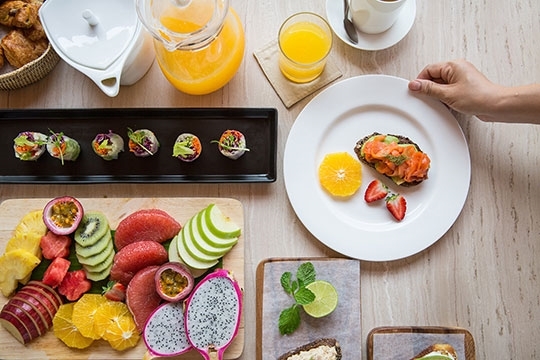 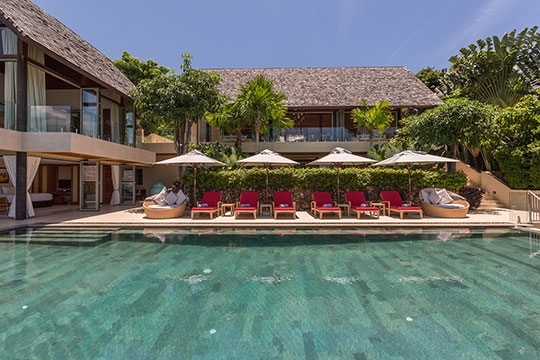 A private yoga instructor will flex and tone you every day, and a villa massage will ease your way to total relaxation. 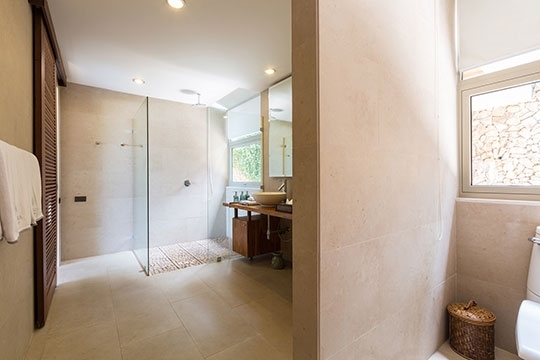 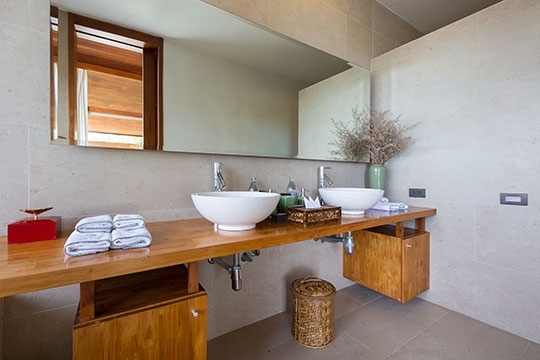 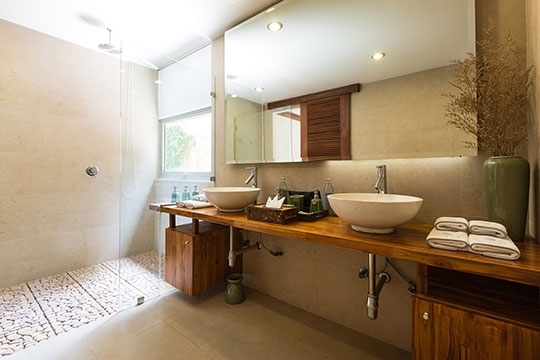 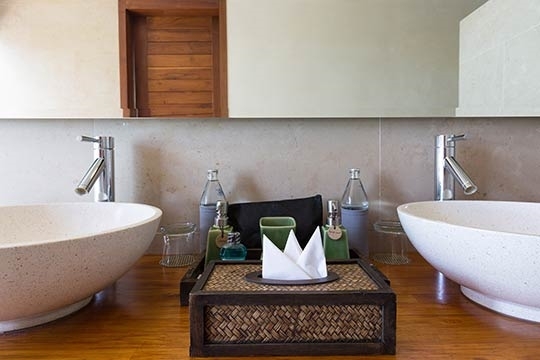 Spa-like bathrooms, with locally produced amenities, fluffy white towels and rain showers, add to the indulgent experience. 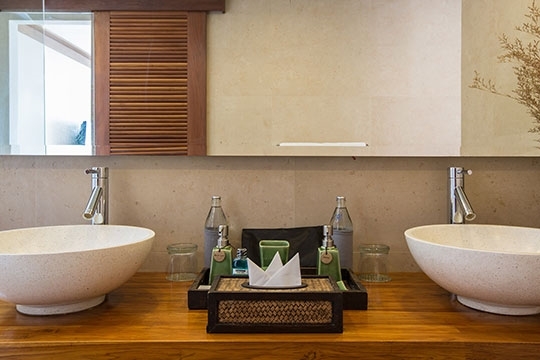 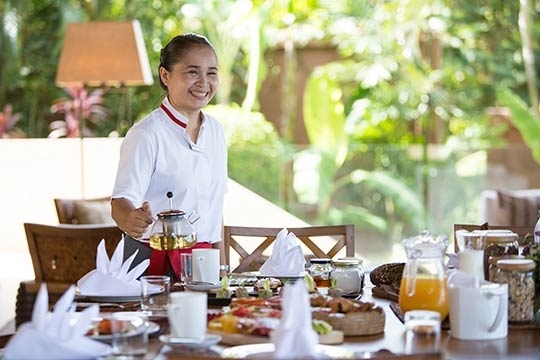 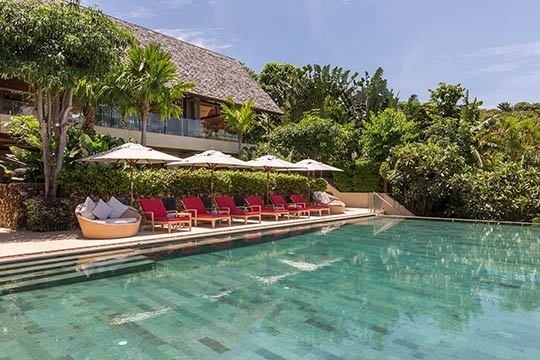 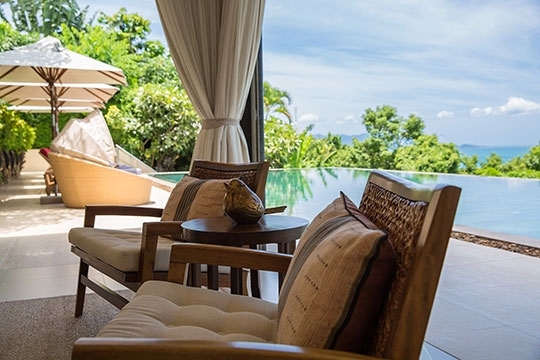 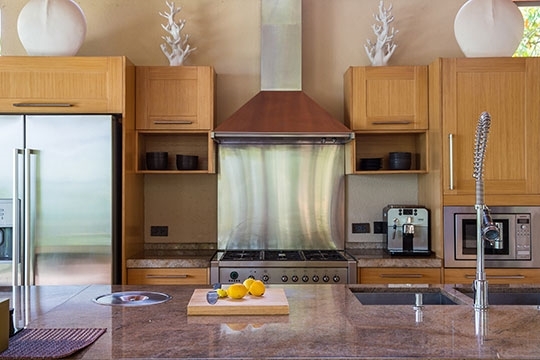 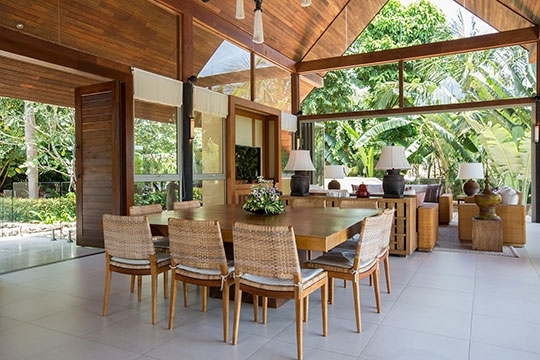 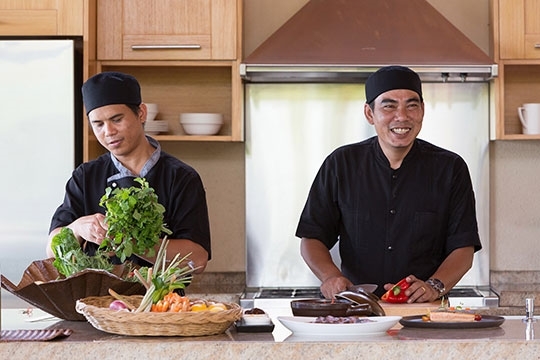 Avasara Residence is a great option for families or groups of friends. 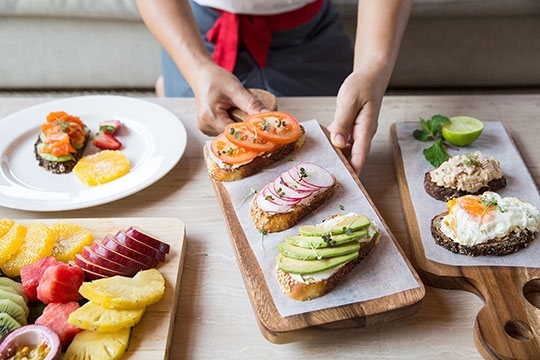 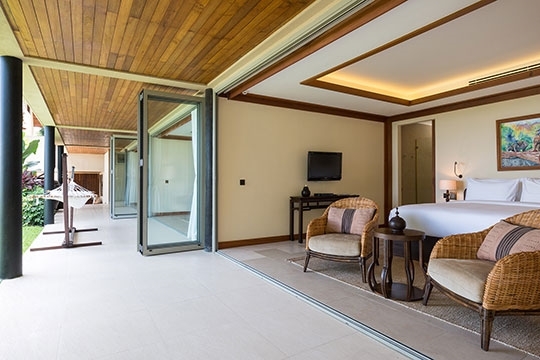 There’s a choice of elegant indoor and outdoor areas for socialising, while the luxurious bedrooms make relaxing havens when peace and quiet are sought. 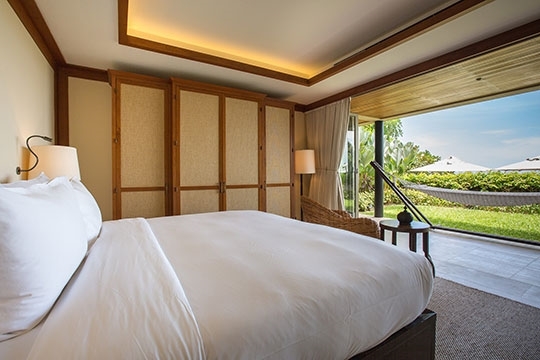 No one will feel hard done by either, as all bedrooms are very spacious – the master suites being only slightly larger than the other rooms. 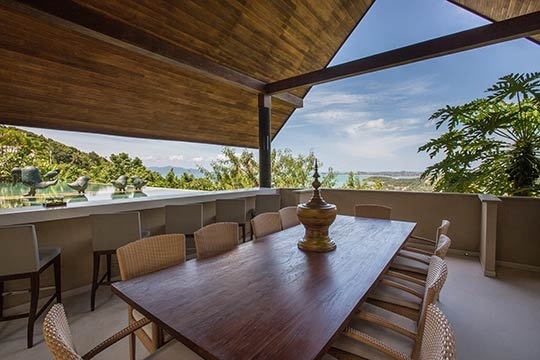 A spacious, contemporary villa with exceptional sea views, service and perks. 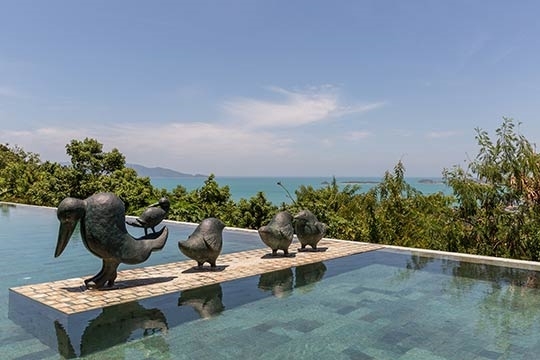 Those with very young children may be concerned about the drop-off from the infinity swimming pool and a few external staircases. 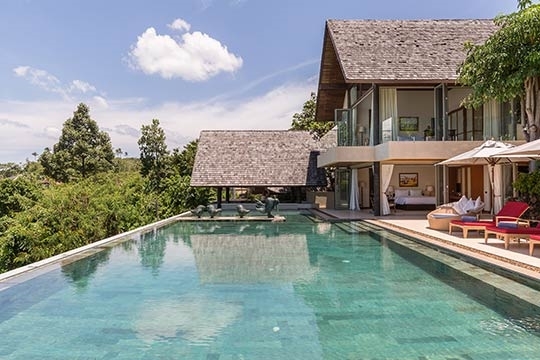 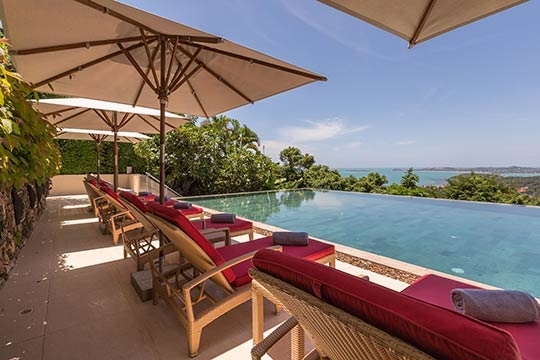 Panacea Retreat’s hilltop location means walking anywhere is tricky, although a daily transfer can be arranged for use to the shops or beach, and the amazing views from the villas outweigh any disadvantage. 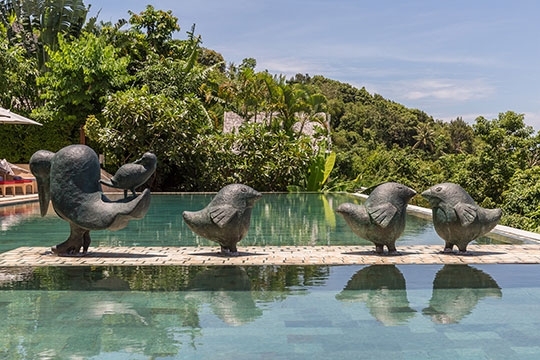 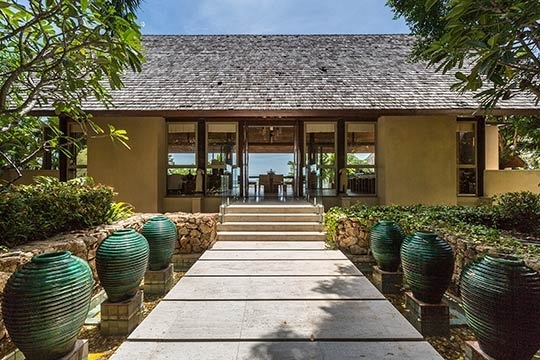 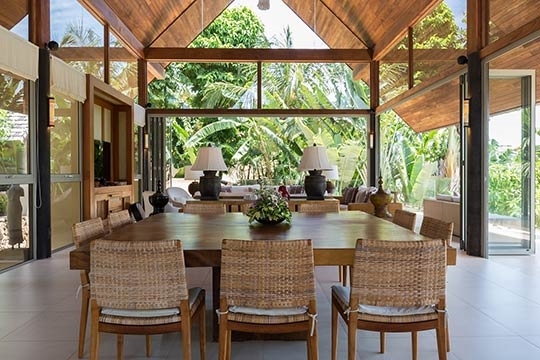 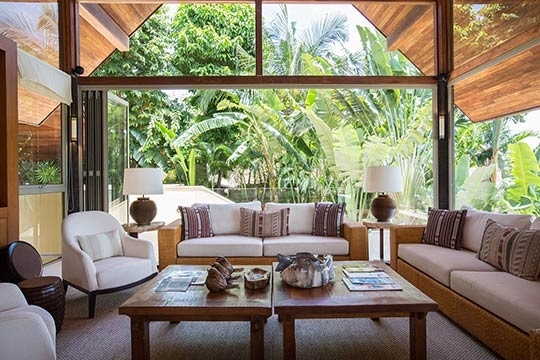 Acclaimed landscape architect, Bill Bensley, masterminded the ‘organised wildness’ of Panacea Retreat’s tropical grounds, and his inspired landscaping continues throughout the villas’ hilltop gardens. 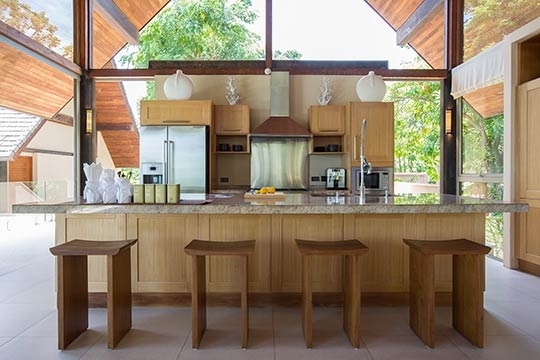 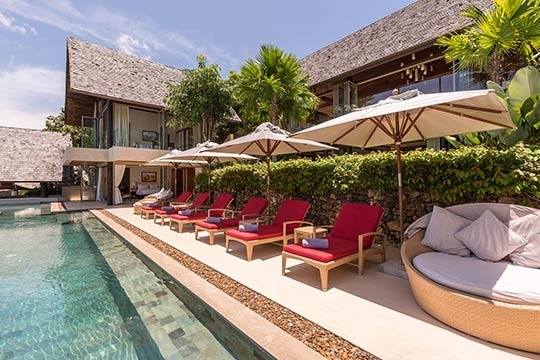 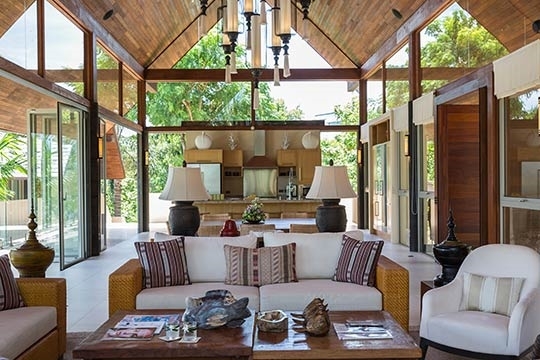 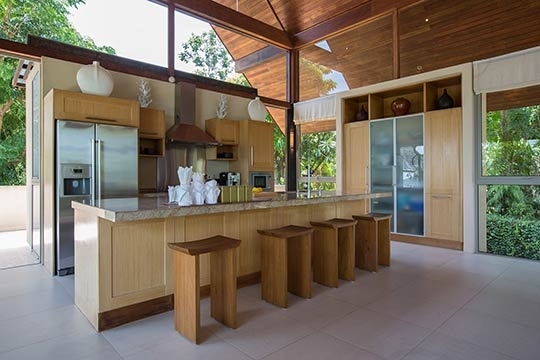 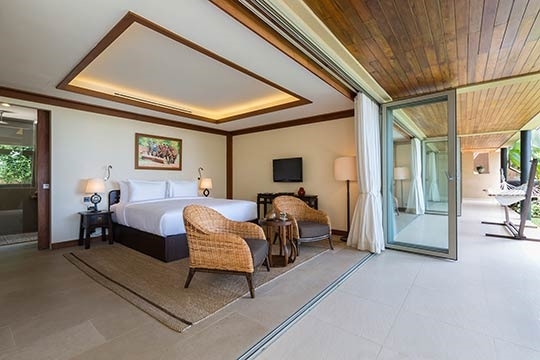 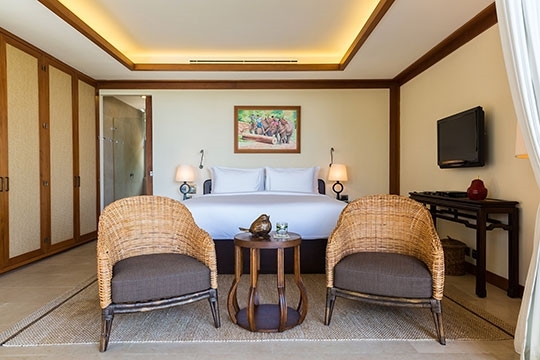 Avasara Residence's simple yet well-planned layout is split over two levels, with indoor living and dining and one master suite above, and the second master plus three guest bedrooms, swimming pool, dining sala and swim-up bar below. 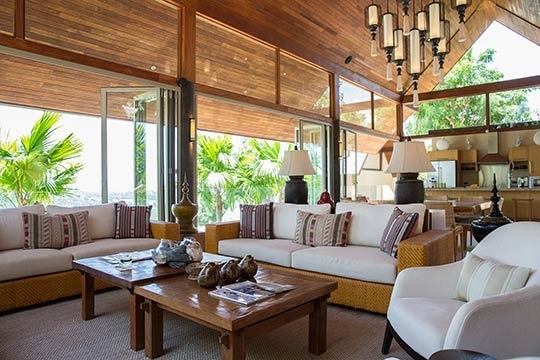 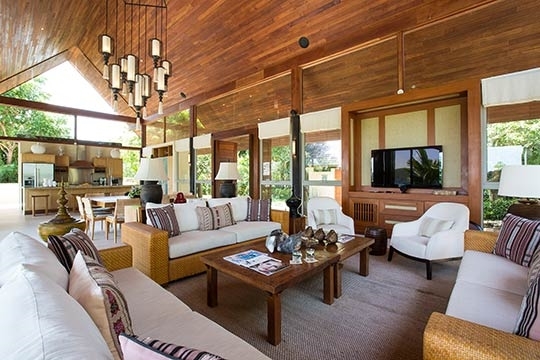 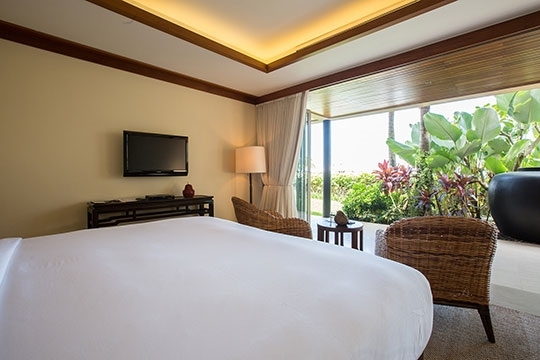 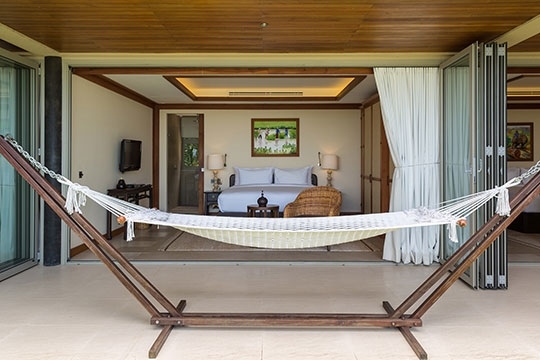 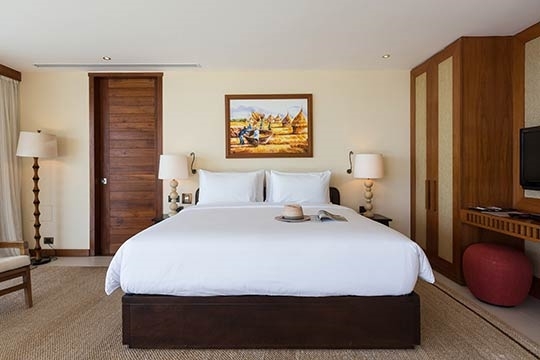 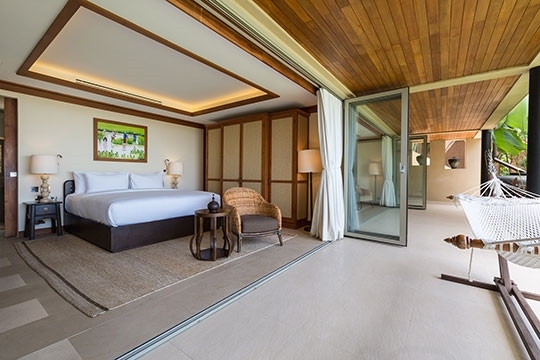 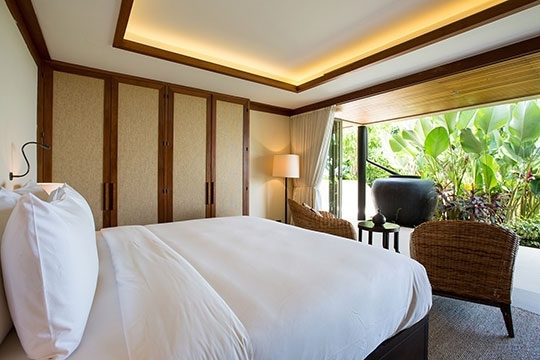 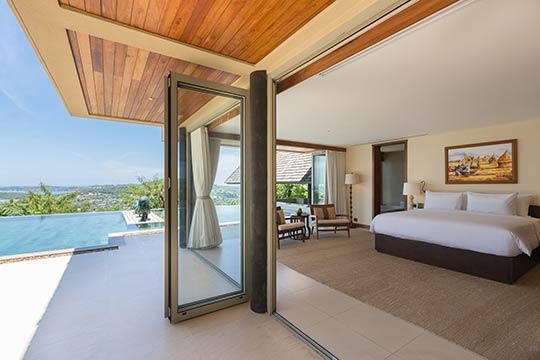 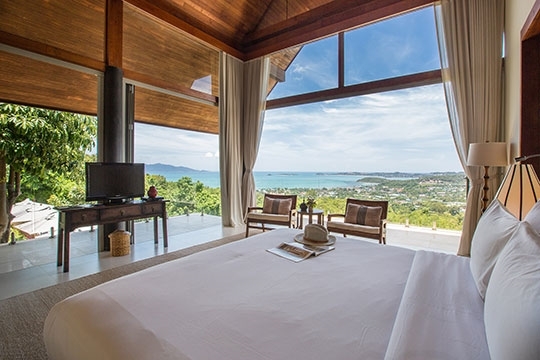 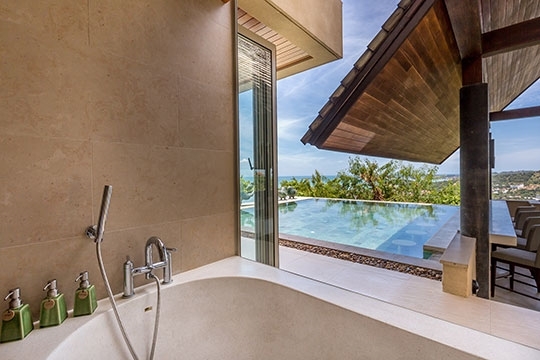 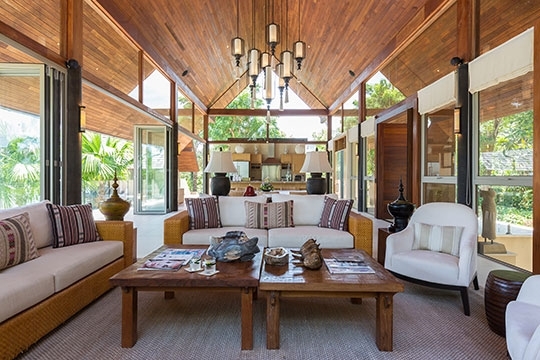 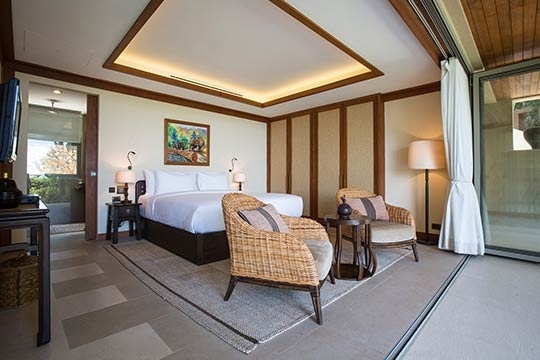 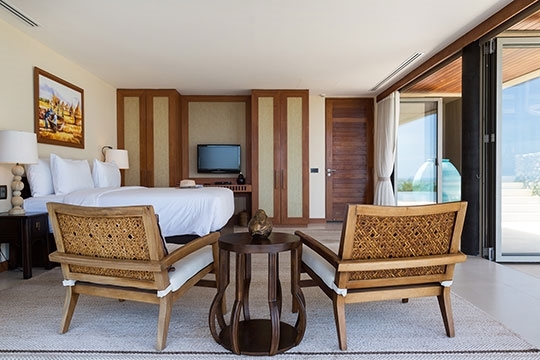 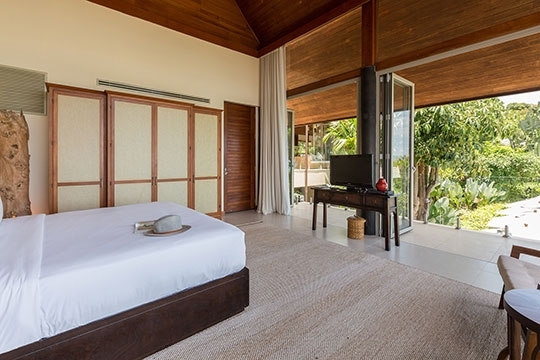 Avasara Residence's two master bedrooms occupy a separate double-storey pavilion. 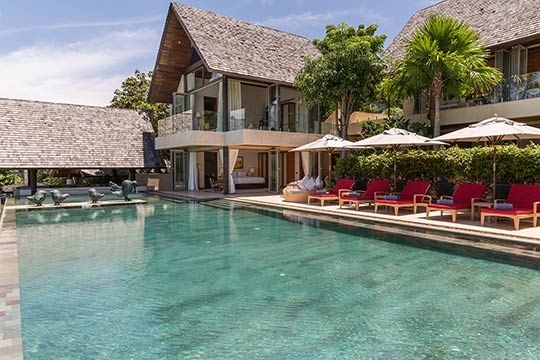 The upper master boasts a vaulted ceiling and private balcony, while the lower room opens onto the 20m pool. 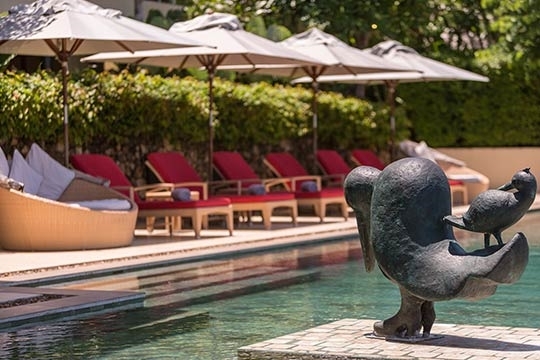 Flanking the pool are plenty of umbrella-shaded sun loungers and the dining/barbecue sala and swim-up bar. 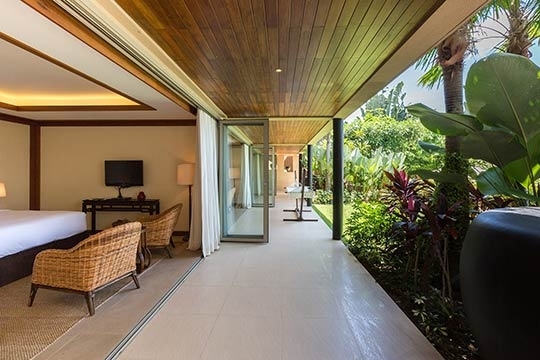 A further three bedrooms are set slightly further back, below the living area, overlooking the swimming pool and garden. 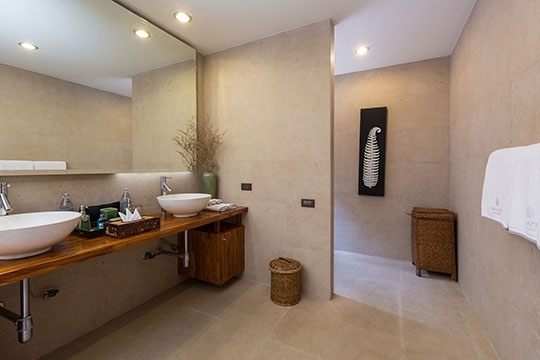 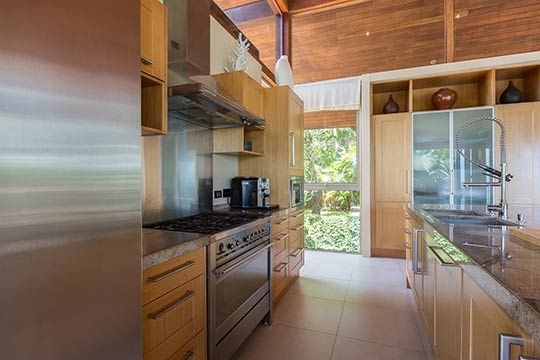 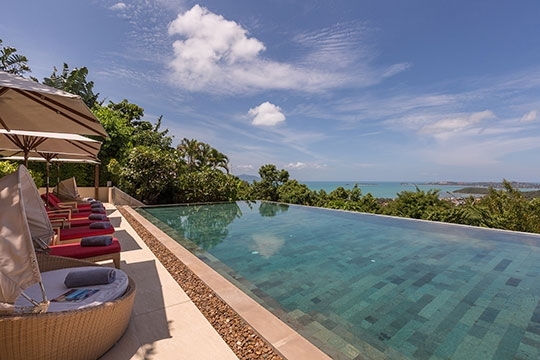 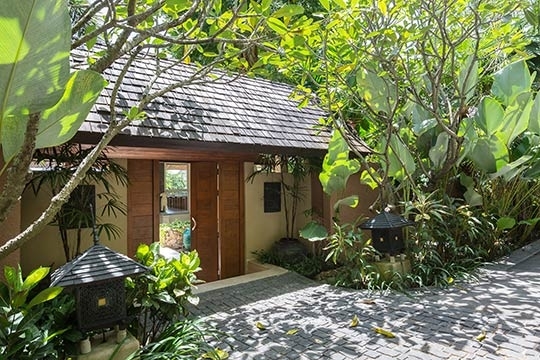 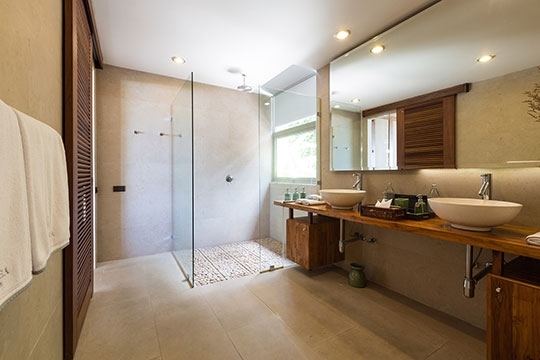 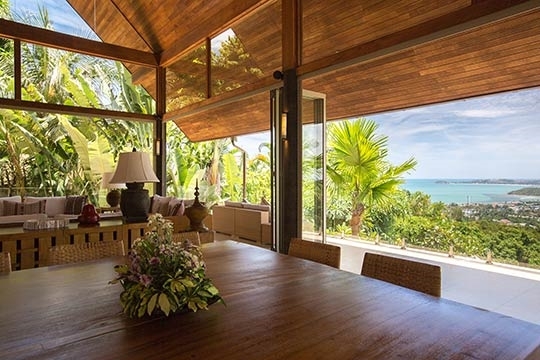 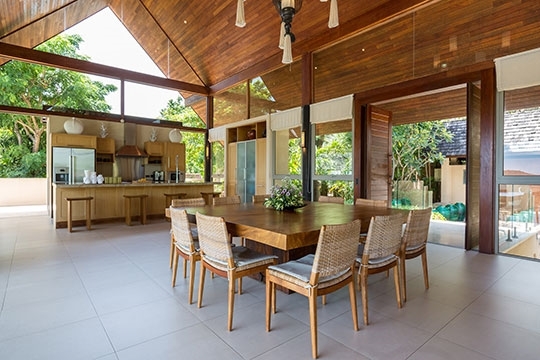 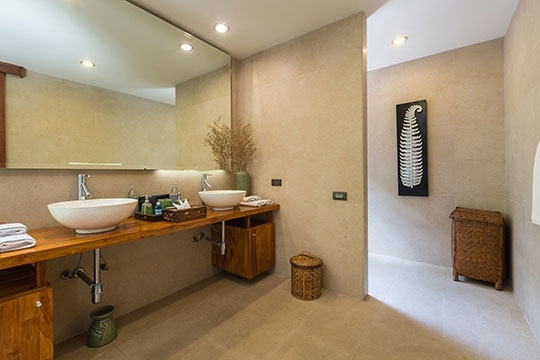 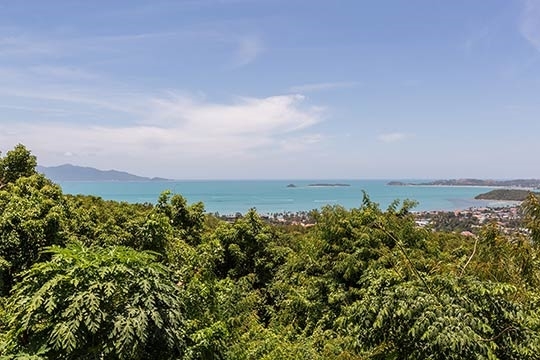 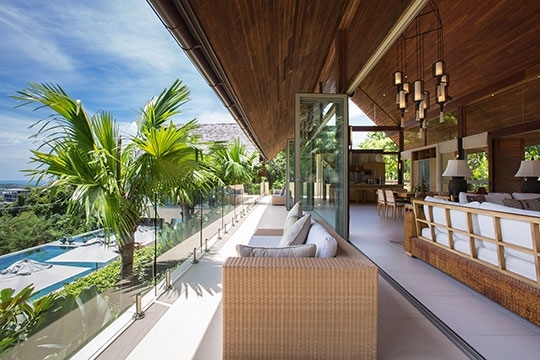 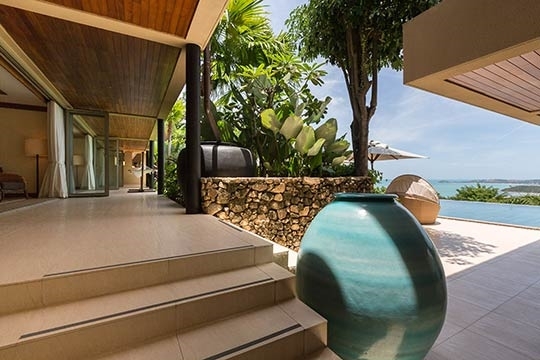 5 bedroom villa located in Bo Phut, Koh Samui. 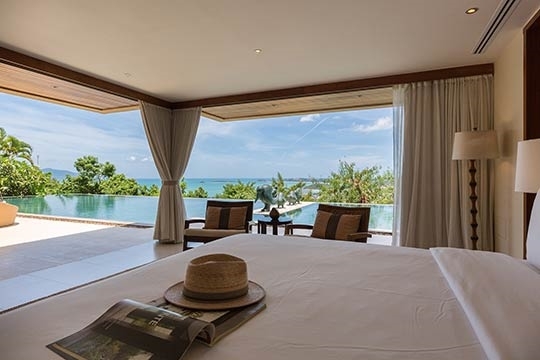 Ideal for Beach in ten, Bring the relatives, Executive escape, Gastronomic delights, Going for golf, Fair share for groups, Party pads, Sensible for seniors, Room with a view, Perfect for weddings.